It is incredibly difficult to deal with the arrest of a loved one. Whether it is their first arrest or their fifth, it is always hard. While you may be less inclined to help someone post bail that is a repeat offender, it is important to consider doing so, as they will need all of the assistance they can get, as it is apparent they are going through a rough patch in their life. For first time offenders you will want to get them out of jail as soon as possible, as it is likely they are very frightened. Before you contact a bail agency to post they bail with a bond be sure that you have the following information ready. In order to ensure the bond is posted quickly you will need to know the location of the jail that the person has been booked into. This includes the city, county, state and the name of holding facility. At the very least you will need the full legal name of the defendant so that the bail bondsman can contact the jail regarding the inmate. If you have the booking number it will certainly speed up the release, but it isn't a must have. The bail agent can find this out with the above information, and they will double check what you tell them, but by giving them an accurate answer to this question you will know exactly what you will owe for the bond premium. 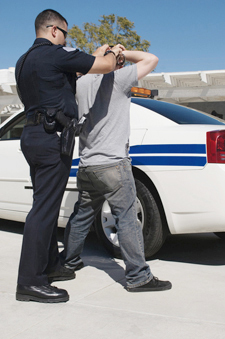 With this information you can quickly get your friend or relative out of jail and safely into your custody. If you have any questions about how bail bonds work in Kelseyville or the surrounding area don't hesitate to contact Rob Brown Bail Bonds. We will work with you to ensure your loved one is out of jail as soon as possible. Give us a call day or night at (707) 587-4563 to post bail in Kelseyville or elsewhere in California.